As a final vote on whether to approve or prohibit video gambling in Forest Park approaches on Nov. 6, controversial sweepstakes machines that look and work almost exactly like video poker devices have made their way into town. Unlike sanctioned video gambling, sweepstakes operators don’t pay state or local taxes on revenue collected from the devices and the state does not conduct background checks of sweepstakes machine firms or the businesses that install them. Proponents argue sweepstakes machines do not constitute illegal gambling since users can play for free and can receive coupons for products as prizes, rather than cash. However, at one local gas station minimart where a sweepstakes machine is located, a hand-written sign states players must spend at least $5 to redeem their winnings. At least one sweepstakes machine has been installed locally at Citgo, 7323 Randolph St. A Citgo employee, who declined to provide his name, said the Ficus-brand machine was installed about three weeks ago and that a few users have already won between $80 and $100 in cash playing the machine. He referred all other questions about the device to Citgo, which did not respond to interview requests. Ficus likewise did not respond to interview requests. It is unclear how many sweepstakes machines are operating in Forest Park. A one-sentence change to the Illinois Gaming Act legalized sweepstakes machines in 2013. The state does not regulate how many sweepstakes machines can appear in a single establishment, or the types of establishments they can be installed in. The gambling state regulator, the Illinois Gaming Board, has long considered the machines illegal, arguing they pose an economic and social threat to licensed video gambling, are not regulated by the state and provide no tax revenue. A WBEZ investigation also found that sweepstakes machines were being installed at establishments that had been denied video gaming licenses. Forest Park’s Citgo could not have been approved for a gaming license, per state and local laws. "The [Illinois Gaming Board] believes any unregulated gambling puts the public at risk, undermines public confidence in legitimate gaming, and diverts needed revenue away from licensed locations as well as the state and local governments," Illinois Gaming Board spokesman Gene O’Shea said in a statement. "It is important to recognize that no tax revenues whatsoever are raised from play on the electronic sweepstakes machines. Furthermore, these machines are direct competitors to the video gaming terminals which the state now regulates and taxes." Over the past five years, during the past two General Assemblies, the gambling state regulator has supported four bills in the House and Senate committees that found electronic sweepstakes machines illegal under the gambling article of the state criminal code. 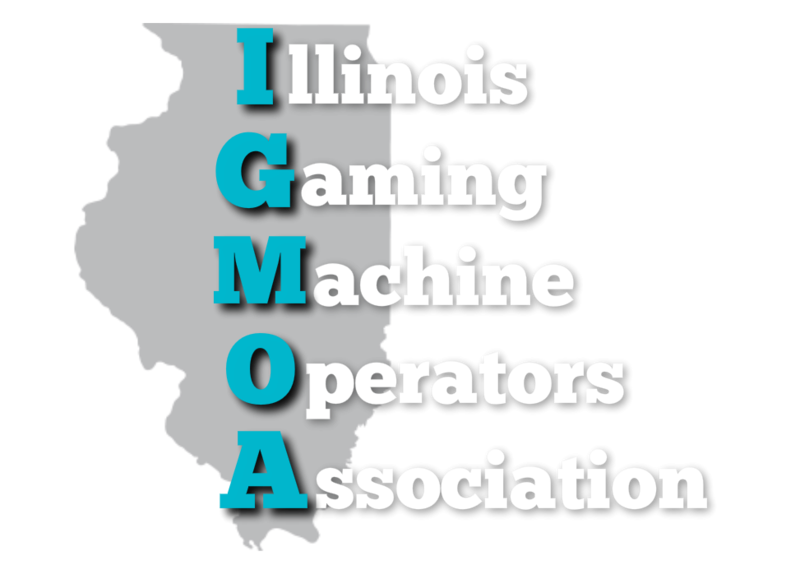 Despite none of the bills passing the General Assembly, O’Shea said the Illinois Gaming Board has not changed its position on the sweepstakes machines, finding them still illegal and has no rules outlining operation of these machines. O’Shea said that the Gaming Act makes it a felony for a business to have "any device that awards credits and contains a circuit, meter, or switch capable of removing and recording the removal of credits when the award of credits is dependent on chance." The Illinois Gaming Board seized sweepstakes machines from a business in Morris. But last year, a state appellate court ruled that the state regulator did not go through the proper process of doing so. To play the Ficus machine at Citgo for free, users must ask an employee for a user account, login ID and password, according to fine print posted on top of the machine. Customers are limited to one free play daily. After that, users must pay to play, and can throw in a dollar and play immediately. All profits are split by Citgo and the machine operator. Winners — and those who pay to play have an equal of a chance of winning as those who play for free, Ficus’ fine print states — can receive their winnings in the form of cash, merchandise, a prepaid gift card or check sent to them by mail, whatever Citgo decides. Ficus’ website offers a selection of gift cards that customers can purchase using cash or coupons redeemed from the machines. Taped to the Ficus machine is a handwritten sign that says players must spend at least $5 to collect their winnings. Ficus did not respond to interview requests about whether this was a company regulation, which would contradict the logic that sweepstakes machines are not gambling since winners can play for free, or the Forest Park Citgo station’s rule. Village Administrator Tim Gillian said the sweepstakes machine at Citgo is the only one he’s heard about, that it is legal and that the village is exploring what options it has regarding the machine with its legal counsel. In nearby Brookfield, village officials found out a sweepstakes machine was operating in a nearby business. Officials asked the business to remove the machine, and the business complied.